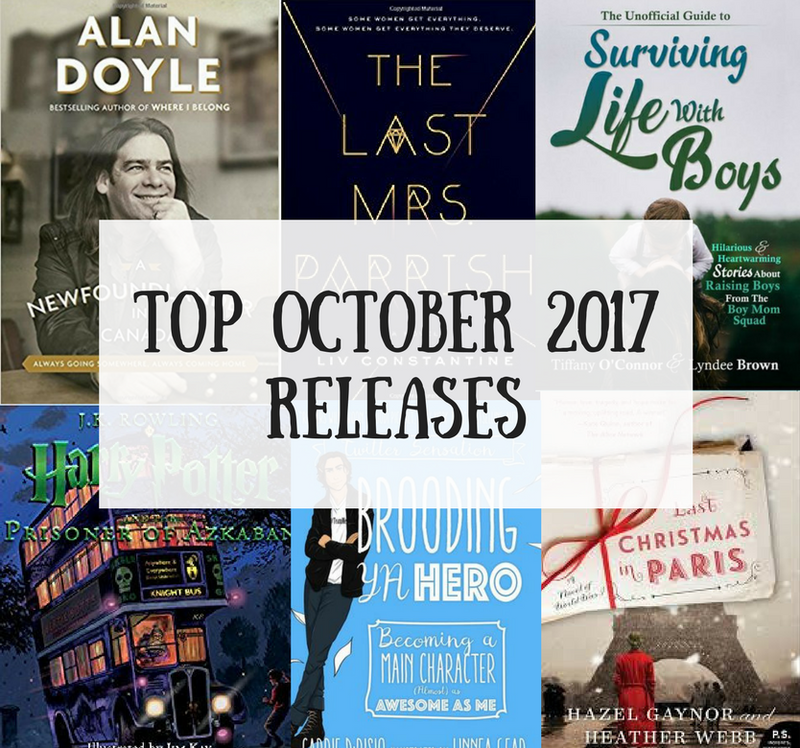 October was a banner month for book releases! Not only was it my own personal publishing debut, The Unofficial Guide to Surviving Life With Boys was released during the same month as some of my other favourites for the year. 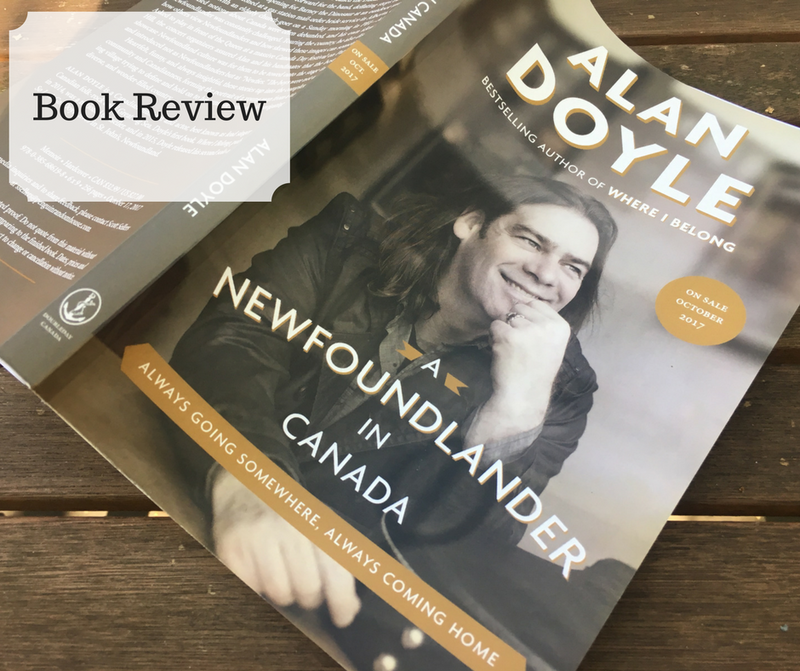 A Newfoundlander in Canada by Alan Doyle - Alan Doyle (frontman from Great Big Sea) is back with a second memoir about his first experiences off the island of Newfoundland as he travelled in the early days of Great Big Sea. You can see my full review here. The Last Mrs. Parrish by Liv Constantine - An engaging thriller about a girl who manipulates to get the life she's always dreamed of...with a twist. Check out my review here and read chapter one here. The Unofficial Guide to Surviving Life With Boys by Various Authors - 35 mom bloggers have gotten together to each tell you a hilarious and/or heartwarming story about being a boy mom. You can read more about it here. Plus I'm one of the contributors! Harry Potter and the Prisoner of Azkaban, by JK Rowling (Illustrated Edition) - I love these illustrated editions of the Harry Potter series. The art and beauty in these books are second to none. Jim Kay's art is such a gift to the Harry Potter world. Brooding YA Hero by Broody McHottiepants (Carrie DiRisio) - This is a satire novel that lovingly pokes fun at the young adult hero in the very best way. 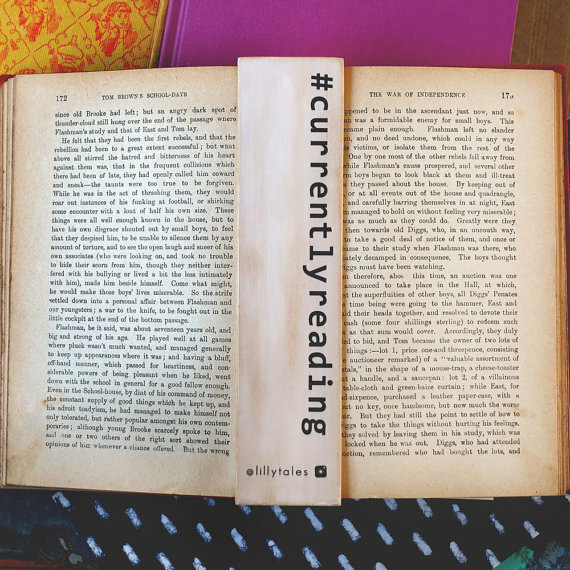 A hilarious look at the YA tropes that we equally cringe at and love. The Last Christmas in Paris by Hazel Gaynor and Heather Webb - Earlier this year I read my first Hazel Gaynor novel, The Cottingley Secret, and loved it. I have a soft spot for historical fiction, Paris, and romance, so a book with all three is bound to make it to my TBR pile. Seven Days of Us by Francesca Hornak - An eclectic family is stuck in quarantine over Christmas. Tensions rises and secrets are revealed. This is on my TBR list for December! Everything is Awful by Matt Bellassai - I love Matt Bellassai's "To Be Honest" video series, so I can't wait to read his book. I'm sure it will be just as hilarious! The Unofficial Guide to Surviving Life With Boys is live! Sometimes our dreams whisper to us so quietly we pretend not to hear them because we think they can never possibly come true. That is exactly how I feel about having been invited to participate in this project. Earlier this year, the amazing bloggers from #LifeWithBoys reached out to see if I'd like to contribute a story to their anthology about boy moms. Honestly, I actually thought it was an accident and they had meant to message someone else. After my initial shock, I was so delighted to become part of this fantastic book. 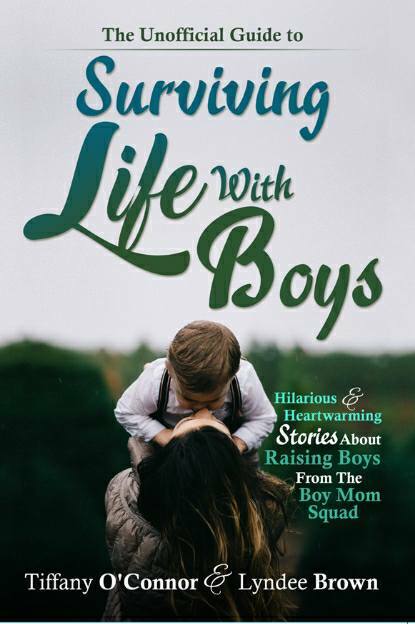 The Unofficial Guide to Surviving Life with Boys is a collection of hilarious and heartwarming stories about what it's like to be a boy mom written by a group of fabulous bloggers. From injuries to sweet cuddles and everything in between, you will love this book about being in the boy mom trenches. It will make you laugh, maybe make you cry, and certainly give you all sorts of good feels about the special bond that exists between a mom and her son. I sincerely hope you read and love this book. I know for me, there are certainly stories in here that spoke straight to my experiences as a boy mom. The ones that leave you saying to yourself, "Yes! That's exactly how I feel." The stories are the perfect length to read between handing out bandaids and reading about dragons. I would even say you don't have to be a boy mom to enjoy the stories of motherhood in this book. The experiences shared are relatable for any mama. Click here for the Amazon (Canada) link. Click here for the Amazon (US) link. This bookmark I received in a previous Novel Editions box, and it's one of my favourites! It's the perfect size for mass market paperback novels. 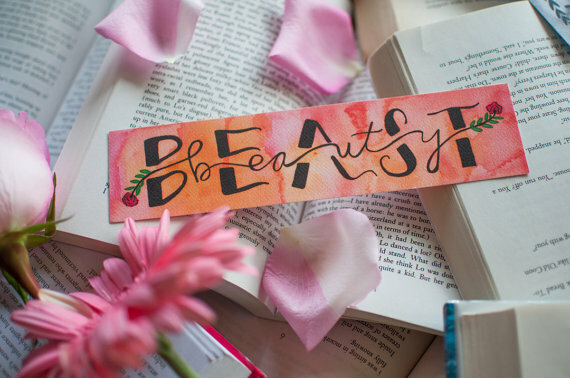 A beautiful peach and pink bookmark with hand drawn calligraphy. 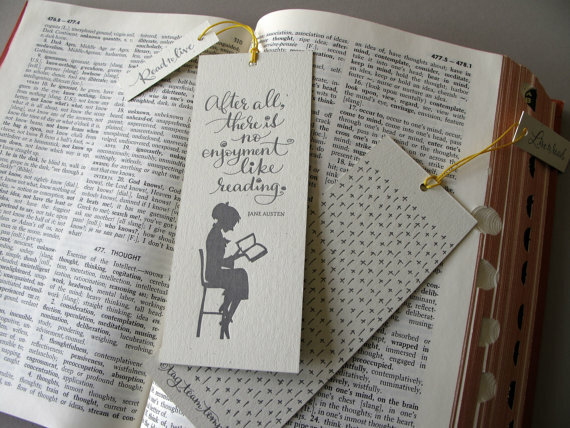 A beautiful letterpress bookmark with a Jane Austen quotation. 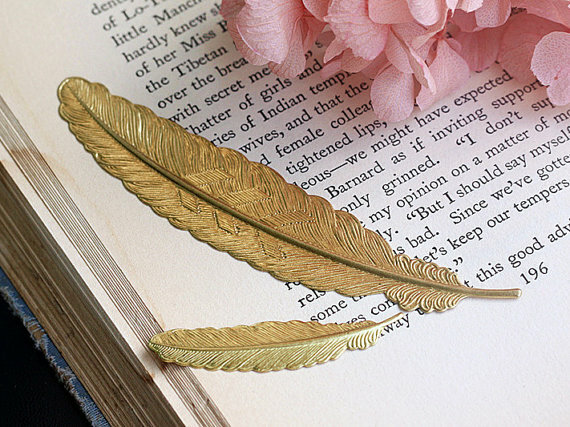 Both sides of this bookmark are so lovely. 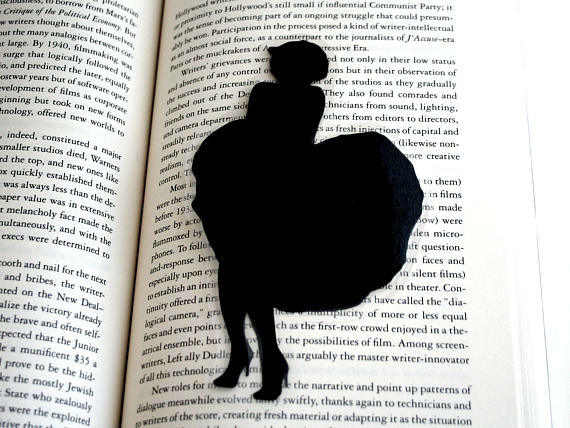 A beautiful silhouette bookmark from the classic Marilyn Monroe film The Seven Year Itch. Perfect for any film lover! 100% Merino wool. 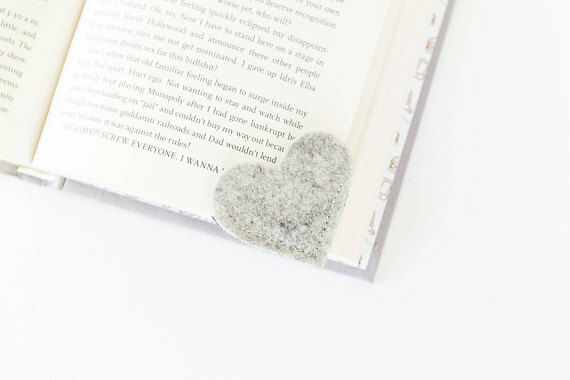 The softest bookmark you'll ever see! 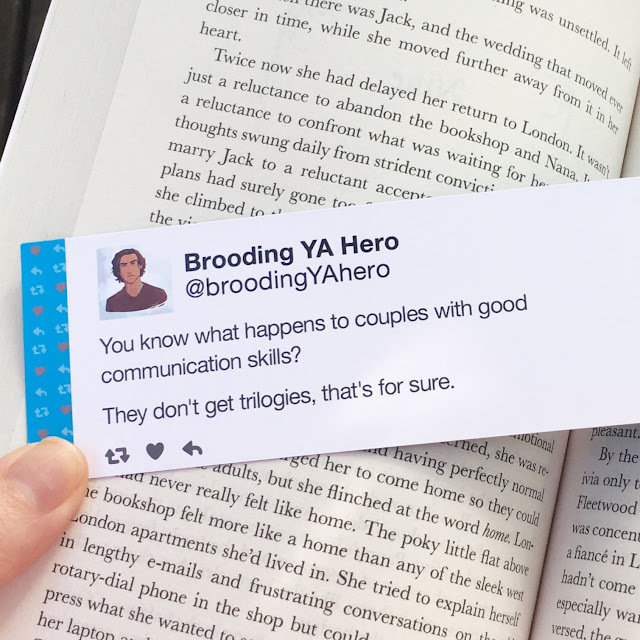 I'm cheating here because this bookmark isn't for sale, but you can get something even better - Brooding YA Hero is an entire book that you can order for tons of gems like this one. For anyone who loves young adult literature, Brooding YA Hero is a must read. I can't possibly imagine (or I can, but's pretty strange) what someone was looking for with this search term. I can assure you, I haven't written any blog posts about being naked at weddings. I did once put together a post with my favourite pictures from my own wedding day. I'm naked in exactly 0 of them. This one was easier to figure out. A few years ago, a friend of mine asked me my favourite places to buy maternity clothes in Canada. Séraphine does ship to Canada, and their clothes are beautiful, so I included them in my list. #abmhappylife is a commonly used hashtag on Instagram for A Beautiful Mess whenever you want to share something joyful from your day. 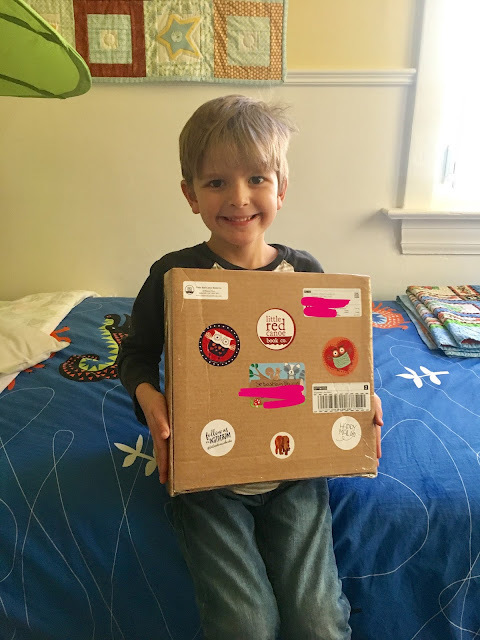 The one thing I've blogged about from A Beautiful Mess is a review of their Happy Mail subscription box. It's perfect for stationery lovers and reasonably priced (though it temporarily paused for rebranding until 2018). My list of non-cheesy anniversary gifts for anniversaries 1-5 is probably one of my most viewed blog posts of all time. I still stand by every single one of these ideas. This was a search term I noticed recently, and I am stumped. I have no idea which post of mine would have popped up in this search result. The Internet is weird. I do a lot of book reviews, but for some reason or another, my review of When I'm Gone by Emily Bleeker seems to be the most searched. Chemo Angels is a fantastic free organization, that I'm so proud to be a part of. They pair chemo patients with "angels" or "buddies" and the angels mail encouraging notes and gifts to the patient throughout their treatment. Read more about it here. I love a good round up post, and I do have quite a few of them on my blog. The one I made with my favourite books for babies is visited often. Oh man...I have no idea on this one. Is it a book idea? I'm so curious. What were they looking for? Did they find it? I do have a post about breastfeeding here. I'm not a huge fanfiction reader so, I'm really not sure about that one, but I'm a book blog, so it's not entirely a stretch I suppose. As for the end, I'm still not sure...I have a post about toys for babies, and another about toys for toddlers. Nonetheless, this one leaves me scratching my head. A close friend of mine had a rare condition called NAIT, and so it made her pregnancy very challenging. She put together a guest post for my blog to share her experiences and offer hope to any other mama out there that may be experiencing the same struggle. Well, that's it for now! Thanks for all of your continued support with A Splendid Messy Life! PS - I totally stole this post idea from Unremarkable Files. 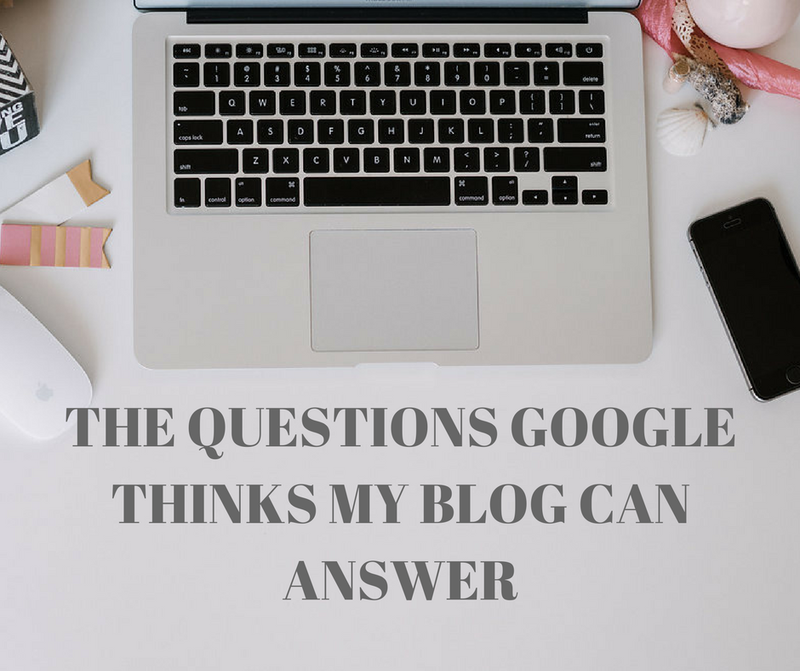 You should absolutely see what kind of weird questions Google thinks her blog can answer. She has some gems over there! While Alan Doyle's first book, Where I Belong, was set primarily in Petty Harbour and St. John's, Newfoundland, his newest release spans from one Canadian coast to the other. Beginning in Newfoundland, the chapters of A Newfoundlander in Canada are divided into different Canadian provinces. The reader travels with Doyle as he shares stories and anecdotes from his first experiences off the island on the road with Great Big Sea. Many of the stories are laugh out loud funny and woven among them all is the theme of home and identity. Doyle presents a kind of birds eye view of how the vastly different parts of Canada are still very clearly still part of the same family. It was beautiful to read. One thing I have loved about both of Alan Doyle's books is that he easily develops a connection with his readers. You get the sense that he is right beside you with a pint of beer telling you about his amazing adventures on the "mainland". On the back of Doyle's first book, actor Russell Crowe is quoted saying, "I feel like I've lived another's life." This holds true for A Newfoundlander in Canada as well. I have been fortunate enough to have travelled quite a bit in Canada, and I have been to many of the places, and even some of the specific bars, Doyle mentions. That definitely made this book feel extra special to me. Newfoundland itself, however, remains on my bucket list. A Newfoundlander in Canada is certainly a must read for any Great Big Sea fan, though you do not need to be familiar with their work to enjoy this book, most especially if you are Canadian. It is available for preorder now and comes out on October 17th. Disclaimer - I received a complementary copy of A Newfoundlander In Canada from Penguin Random House Canada. All thoughts and opinions are entirely my own.